It is natural to think that you will have no pain after your hip replacement surgery, but things may not work that smooth for some people. Pain after hip replacement is more common than you think. In fact, sometimes, the pain you experience is even worse than what you were experiencing before undergoing the surgery. A number of factors may be preventing you from getting the best results after your surgery. 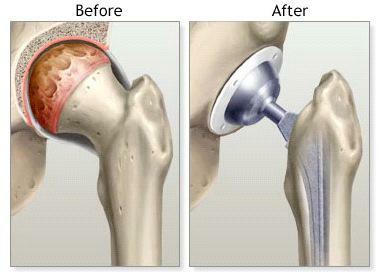 Why Do You Experience Pain after Hip Replacement Surgery? It could be because you are suffering from arthritis involving both the spine and the hips. In this case, you are not going to get any relief from the back pain even when you have both hips replaced. Similarly, you cannot resolve the hip pain simply by fusing the back. The hip-spine connection is usually the underlying cause of pain in the elderly. You will experience pain if you have been misdiagnosed and treated for low back pain when you actually have hip arthritis. Any irritation to the sciatic nerve could be the reason why you are experiencing pain after hip replacement; what is normal and what is not is again important to know here. A little irritation is common, but you might end up experiencing abnormal pain if you are already suffering from spinal stenosis because the nerve irritation is already present. It is therefore important to monitor the nerve for stress during the surgery to avoid complications. If you have indeed had your sciatic nerve injured, you may experience shooting pain, burning pain, and foot drop. You may be experiencing pain because of the complications related to the prosthetic implant. For instance, your pain could be the result of hardware loosening, which in turn leads to joint instability. There may be an infection at the surgery site, which may as well be the cause of your pain. Take plenty of rest. You should take good rest, especially during the first week of recovery. You need to be active in short spurts only during this time. Give your body ample time to recover. There should be a good improvement in your pain levels when you go for your first check-up after 10 days of surgery. In most cases, your joint pain will no longer be there after 10 days, and you will also notice your soft tissue pain easing considerably. Consider using a walking aid up to 4 weeks after your surgery to accelerate healing. Apply ice to the affected area. Using ice in combination with medication can help relieve inflammation and swelling. It also alleviates pain to some extent. You can use gel packs, but be sure to change them regularly to get good results. Do not apply the pack directly to your skin and keep your legs elevated during the application. Take your medications regularly. Your doctor will prescribe some heavy painkillers at first. Be sure to take them as prescribed. You may have to take some type of painkillers up to 12 weeks following surgery. Talk to your doctor if your painkiller does not seem to help much with your pain. They may increase the dose or prescribe something else to help. Keep in mind that your pain is likely to become worse at night, so be sure to inform your doctor about what you feel to get the right dose. Elevate your legs to help reduce swelling and pain. It means you should keep your feet higher than your hips, which you can achieve simply by keeping rolled-up blankets under your legs. You can also use pillows when in a chair or in a recliner. When combined with proper medication and icing, elevating your legs several times a day will significantly reduce your pain and discomfort. Opt for physical therapy, especially if you have radiating pain in the hip joint. Keep in mind that your pain may become worse following a physical therapy session, so you may have to take a higher dose of medication before you go for your therapy sessions. Do not cross your legs at your knees for up to 8 weeks of surgery. Do not raise your knee up higher than the level of your hip. Do not lean forward when sitting. Do not bend forward to pick something from the ground while sitting. Do not turn your feed outward or inward while bending down. Do not bend excessively at the waist beyond 90 degrees. Do keep the leg straight and facing forward. Do keep your leg right in front of you while standing or sitting. Do make use of a barstool or high kitchen while working in the kitchen. Do apply ice packs to the affected area to relieve pain and swelling. Do use heat before any exercise to improve your range of motion.